Attended my first “social media” event last Monday. It was more of a convenience as the event was held just a level down. A lot of us has been hearing social media events where everything is organized via Twitter or Facebook. Marketing in the Social Age is one such event. Quite a diverse crowd and I was excited to hear what they have to share. Willy Foo started with an overview of social media and how it is affecting us. Numbers from different social media sites and countries were also presented. Then the agony began. It was off to a good start but I think Willy talked too much about Facebook and it’s small intricacies. Unfortunately, I wasn’t the only one who felt it as others were tweeting about the bad experience and you can see some of attendees leaving early. I did gain a lot of insight from his experiments and would like to hear more. Willy is such an inventive guy as he does a lot of experiments with Facebook (and for sure other social media outlets). Other than that I wish he didn’t take the whole session as he spent more than two hours talking (quite unbelievable if you ask me) but you can really feel his passion and I hope to hear more talks from him. Derrick Koh from Lenevo shared their experience with social media and how it his helping some of his sales people. Quite interesting how social media is helping big companies such as Microsoft and Lenevo. Willy Lim from NetProfitQuest shared how they are helping SMEs engage social media engines. Some reactions were quite negative but I learned a lot from him. Fundamentals is the key! The night was topped off with a panel discussion and some questions were raised. A good ending for the night as people tweeted their reactions and questions with the use of TwitterFall. Overall, the first event of Marketing in the Social Age wasn’t that spectacular but for sure they will improve in the next one. I’ll be there and would be happy to here from you guys again. I haven’t been posting in this blog for quite sometime and I was observing the stats the I have. Reason for my inactivity is because I’ve been setting up my blog under my own domain. Free WordpPress is quite good as they support a lot of features and widgets but if you want more advanced features, in my case SEO and stats, you would definitely want paid hosting. It’s not that expensive and I think it would be worth it if you want to take blogging and creating your online brand seriously. I’ll be redirecting most of my traffice to eugenefabian.com really soon. The only thing hindering me right now is the perfect theme. My current theme here is PressRow but unfortunately it’s not supported anymore. If you have any suggestions for a minimalist, two column theme leave me a comment. Any help would be greatly appreciated. Now I know why the name sounds so familiar! It’s a Transformer! 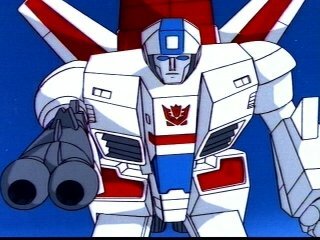 Anyways, that’s not the Skyfire I want to talk about. I’ve been toying with a lot of mobile technology lately, from mobile phones to netbooks and Skyfire is one application that has stood up in the mobile phone area. It’s “Hello, world!” not Hello world!